A service desk solution for IT and any other technical department, that is as functional as innovative. 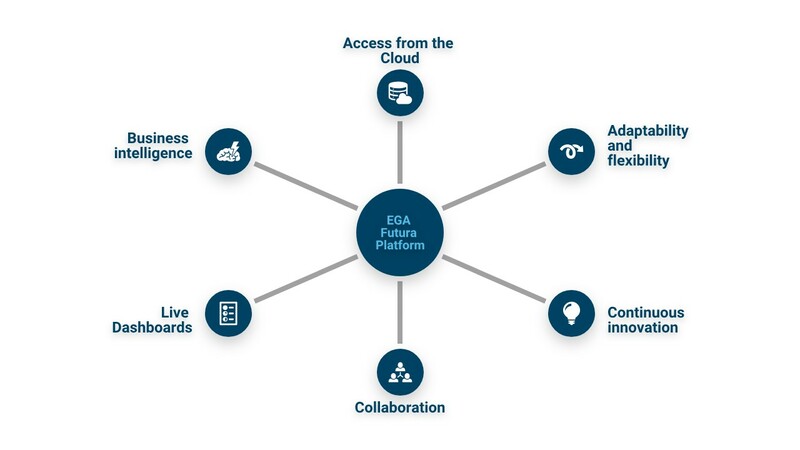 Connecting employees around the world, the EGA Futura Platform is built to empower you to provide exceptional services in more personal and proactive ways. We believe in increasing the speed and robustness of the services by delivering them through an Agile / ITSM solution that engages the teams. Your employees want the ability to easily submit tickets or requests — when and how they are needed, and your agents need a tool where they can provide services with consistency. EGA Futura gives both the end user and the agent exactly what they need for service success. Execute your change plans with speed and accuracy, while formalizing your documentation and approval processes, and keeping your teams informed on potential impacts to the organization. EGA Futura helps you document best practices and recommended solutions, giving your users the information they need without contacting the service desk, giving agents the opportunity to focus on bigger projects. 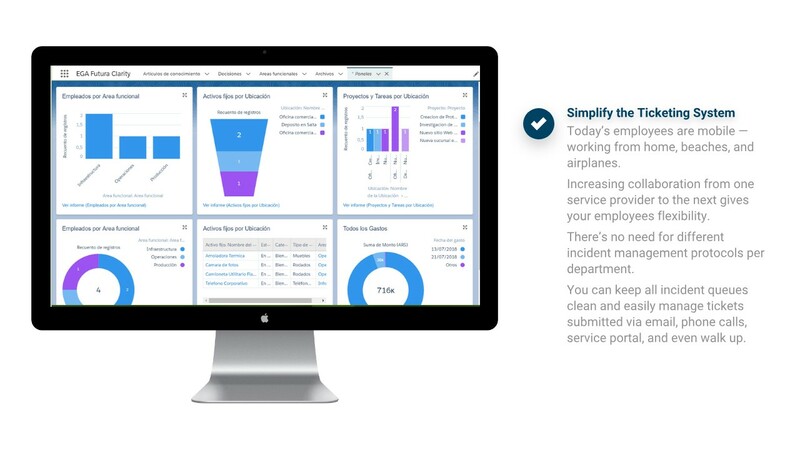 EGA Futura dashboards enable greater visibility into your service operations by providing a real-time snapshot into the current state of your service desk. Highlight critical metrics, keep your team informed, and customize to meet your needs. EGA Futura offers a robust procurement module that enables you to organize all contracts and POs in a single location. Track licensing, maintenance, and subscription obligations, quickly reference contract terms, automate approvals, and more. Report on the data that matters to your team giving you the insights needed to make future decisions for your Service Desk. With the EGA Futura Mobile app, service desk agents can access all of their tickets and service requests directly from their mobile device. What is the first step toward work day happiness? Making employees more productive and making their processes simpler. At EGA Futura, we see the future of service management in automation technologies, Artificial Intelligence, and Machine Learning. Grow with a customer-centric Agile/ITSM solution that’s focused on impacting your organization in the ways you actually need it. With EGA Futura, you can think outside (or inside) the box when it comes to scaling your internal services. EGA Futura wasn’t the first ERP system to hit the market, but it’s dramatically different than the other ERP systems you might have used. 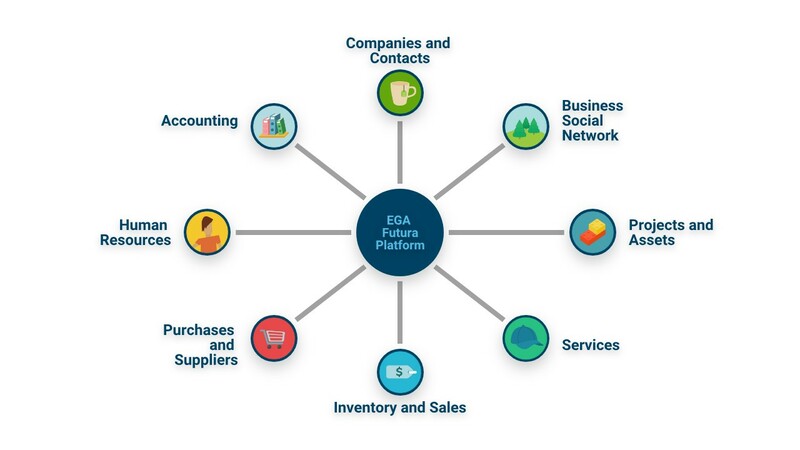 Unlike traditional ERP software, EGA Futura is an Internet service. You sign up and log in through a browser, and it’s immediately available. Currently this is called cloud computing, where the customers access “the cloud” (that is, the Internet) for their business needs, and are not required to install any traditional software. Fast: When you sign on the dotted line, you want your ERP system up and running yesterday. Traditional ERP software can take more than a year to deploy; compare that to months or even weeks with EGA Futura. Easy: End user adoption is critical to any application, and EGA Futura wins the ease-of-use category hands down. You can spend more time putting it to use and less time figuring it out. Effective: Because it’s easy to use and can be customized quickly to meet business needs, customers have proven that it has improved their bottom lines. Depending on your team’s objectives, you might use all the EGA Futura Apps from Day 1, or you might focus on just the functionality to address the priorities at hand. The more you and your team adopt EGA Futura into your work, and you determine how you want your business process to be reflected within the technology, the more information you’ll have at your fingertips to deepen customer relationships and improve your overall business. We believe in service management innovation and delivering solutions that empower you to drive productivity and operate smarter.